As more and more patients chose to explore weight loss surgery with Dr. Michael Feiz, M.D., FACS, the success stories are mounting. So is the number of lap band before and after pictures and video testimonials from Dr. Feiz’s many grateful patients. A renowned expert on minimally invasive bariatric surgeries, Dr. Feiz employs a one-on-one approach that goes far beyond simply performing the surgery; he also emphasizes counseling his patients on every aspect of obtaining the maximum benefit from surgery in terms of both physical and mental health. The board certified surgeon has therefore earned glowing praise from numerous patients as well as many impressive lap band before and after photos. Aside from the effectiveness of his surgery, his zero mortality rate, and ability to keep post-surgical scaring to an absolute minimum, Dr. Feiz’s past clients note that the doctor responds to their individual needs with great patience and genuine compassion. The ability to counsel patients to ensure they have all the information they need to make the correct decision does not show up on lap band before and after pictures, but it does make an enormous difference in the lives of patients. Morbid obesity is an often devastating condition that is extremely difficult to fight. For most, it is feels like a pitched battle that they are destined to lose. However, for a growing number of patients with vastly improved health, obtaining a lap band in Beverly Hills from Dr. Feiz has produced really astonishing results that go well beyond the strictly visual. 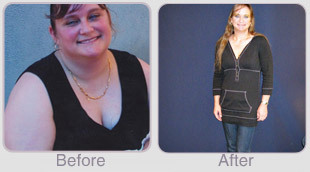 Before and after photos are only the beginning. For details about obtaining all kinds of bariatric surgery, including gastric sleeve vs. lap band information, please contact us today to schedule a free first-time consultation.